The animation shows a top view of four wires and a galvanometer in the lab. Current flowing into the + terminal, i.e., counterclockwise, will deflect the meter to the right. During the time interval t=2 s to t=8 s a magnet is slowly pushed completely through the rectangle from the bottom toward the top. (You can also think of the magnet as being pushed out of the computer monitor toward the user. Note: the magnet is not shown.) 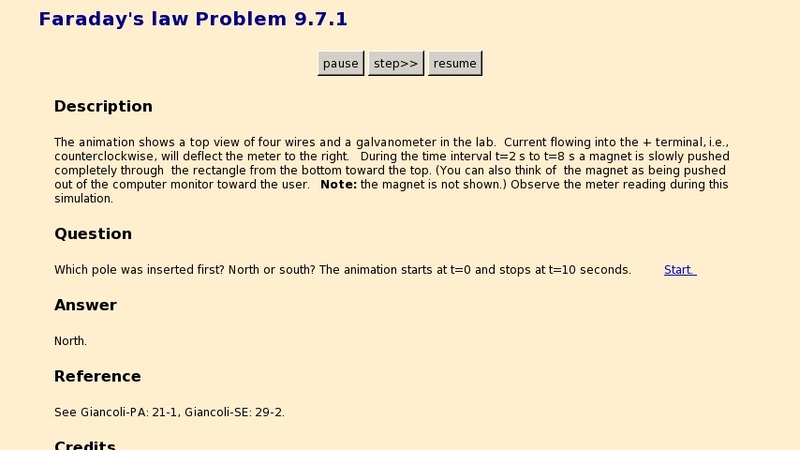 Observe the meter reading during this simulation.